And Prime Minister Dr Ralph Gonsalves also told Parliament on Wednesday that the Coastguard has damaged two patrol vessels lent to them by the Customs Department. Gonsalvesâ comments came in response to a question from Dr Godwin Friday, parliamentary representative for the Northern Grenadines. Friday wanted to know what was expected to be done to protect the yachts, one year after a series of break-ins prompted a meeting between tourism stakeholders in Bequia and state officials. Gonsalves said that although Godfred Pompey, permanent secretary in the Ministry of National Security, had requested that a special warrant to facilitate the purchase of the engine be prepared, the document had a âlong gestation periodâ at the Ministry of Finance. âI inquired again and it was sent to me after that inquiry, again prompted by the Minister of Tourism. I signed the special warrant, it went over to the Ministry of Finance and those responsible for addressing the special warrant in relation to this specific boat in my view did not act with expedition,â said Gonsalves, who is minister of national security and finance. He explained that an engine that was available was sold by the time the paperwork was prepared. âHere is where I talk all the time about getting the small things right,â Gonsalves said. The prime minister also chastised the Coastguard. He said one of three boats donated to be used by the Customs was lent to the Coastguard to assist them with patrols. âI was told very swiftly that one was damaged â they lent them a second one, it was also damaged and now being repaired,â the prime minister said. âThese are two boats we just approved money here for about three years ago. I spoke to the Customs; they have one story., I spoke to the Commander of the Coast- guard, he has a story. âAll Iâm asking please, we donât have a lot of money to throw about; when we buy these boats letâs take care of them. âI donât understand how two out of three could get mash up so quickly,â Gonsalves said. The prime minister, however, told Parliament that the engine would be purchased so that patrols can begin. These patrols would complement those already being done by the Coastguard, which, the prime minister said, makes unscheduled patrols to hotspots around Bequia and other parts of the Grenadines, including Mayreau and Union Island. There were similar patrols on the leeward side of St Vincent, Gonsalves said. Deploying a patrol boat to Bequia was among recommendations made at a stakeholders meeting in November 2011. The meeting discussed solution to a number of yacht burglaries in Bequia then. Over 200 persons attended, including Commissioner of Police Keith Miller and a representative from the Coastguard. 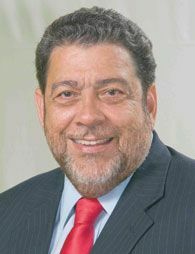 This country was the best-supported cruise destination throughout the Organisation of Eastern Caribbean States (OECS) member states, Gonsalves said. He added that the numbers in St Lucia were creeping up to that of this country, but up to two years ago this country was rated by an international yachting magazine as being the safest place for yachters. âWhen we make progress we canât have slippage and we have to correct the slippage,â Gonsalves said.